Instagram is one of the most popular social media sites and, according to a report in Forbes, teens prefer it over Facebook. This photo-based medium lets users post images and videos through a phone app and develop a group of followers, much like Twitter. 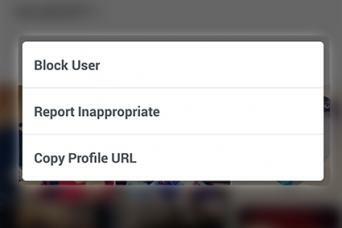 This can lead to situations where a follower needs to be deleted from your profile. Open the app and click on the Profile icon located at the bottom of the screen. When your Profile loads, you will see a 'followers' button. Tap the followers button to display all your followers. Locate the follower or followers you wish to block. Click on each follower's user name to load his or her profile page. Tap on the arrow button in the top right of the profile screen. This will cause a menu to load at the bottom of your screen. Tap the first button, which is 'block user'. This will force open a confirmation window. Click to confirm deletion. Once deleted, the user will no longer be able to view or follow your posts. There are few safety features built into the blocking option. The follower is not notified when blocked. The follower is unable to search for your profile and try to follow you again. Even though you have blocked an individual that does not prevent that user from mentioning your user name on Instagram, and this mention will appear in your News tab. If you want to prevent this, you will need to change your user name after you block the individual. Blocking someone does not remove that user's likes or comments from your images or videos. If you wish to delete a comment, go to the image or video and click on the comment icon below the image. Tap on the comment you wish to delete and click on either 'Delete Comment' or 'Delete Comment and Report Abuse'. By default, Instagram makes all your posts and images public, if you do not want them to be public, edit your profile settings and activate the Posts are Private option. If you share your images with a social media site, you have most likely given the site permission to disseminate your image or video, which means your content could appear in a Google search. If you do not want this, you will need to revoke the permissions given to the site and possibly petition Google to remove the content from their search results.